​La Liga and Serie A champions ​FC Barcelona and ​Juventus respectively are both interested in securing the signature of Ajax defender Matthijs de Ligt but it has been reported that the Spanish side is leading the race to snap the in-demand defender. It has been reported that due to Barcelona's strong heritage of Dutch players in their history as well as the recent signing of his teammate Frenkie de Jong, De Ligt prefers moving to Catalonia than to Turin. This condition has reportedly led to Juventus coming up with a plan to deal with their own defensive requirements this summer with Andrea Barzagli deciding this weekend to retire at the end of 2018-19. 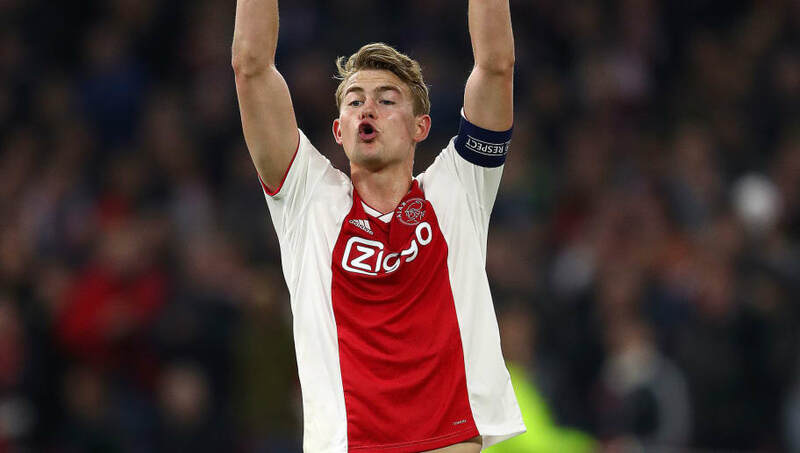 ​AS report that according to Rai Sport, the Serie A champions are willing to pull out of the race for De Ligt in order to avoid a bidding war and will negotiate separately with Barcelona for Samuel Umtiti. Italian media outlets have been continuously reporting about Juventus' interest in Umtiti with club director Fabio Paratici reported to be in touch with Barcelona, who are reluctant to part ways with the French defender. The report goes on to conclude that the Catalan giants might be interested in making a sale only if an amount of 80m or upwards is handed in return for Umtiti.